This is the first authoritative edition of one of the most significant children’s books of the twentieth century. Winner of the 1961 Newbery Medal, Island of the Blue Dolphins tells the story of a girl left alone for eighteen years in the aftermath of violent encounters with Europeans on her home island off the coast of Southern California. This special edition includes two excised chapters, published here for the first time, as well as a critical introduction and essays that offer new background on the archaeological, legal, and colonial histories of Native peoples in California. 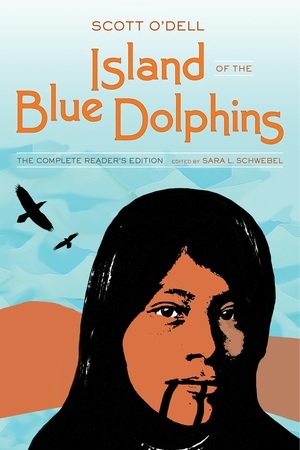 Sara L. Schwebel explores the composition history and editorial decisions made by author Scott O’Dell that ensured the success of Island of the Blue Dolphins at a time when second-wave feminism, the civil rights movement, and multicultural education increasingly influenced which books were taught. This edition also considers how readers might approach the book today, when new archaeological evidence is emerging about the “Lone Woman of San Nicolas Island,” on whom O’Dell’s story is based, and Native peoples are engaged in the reclamation of indigenous histories and ongoing struggles for political sovereignty. Scott O’Dell was the author of numerous books for children and adults. He received the Hans Christian Andersen Award in 1972. Sara L. Schwebel is Associate Professor of English at the University of South Carolina, author of Child-Sized History: Fictions of the Past in U.S. Classrooms, and editor of the Lone Woman and Last Indians digital archive.